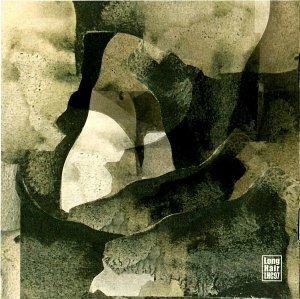 Besides the SWF (German south-west broadcast) series with German bands of the Krautrock era,Long Hair start a new series with recordings form the vaults of Bavarian Broadcast Corporation (located in Munich). 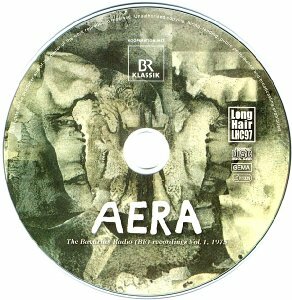 Volume 1 of the series is dedicated to Aera, one of Germany´s finest bands of this time and well known because of their albums "Humanum Est" and "Hand und Fuss" (vinyl version re-released on Long Hair, LHC43 and LHC44). 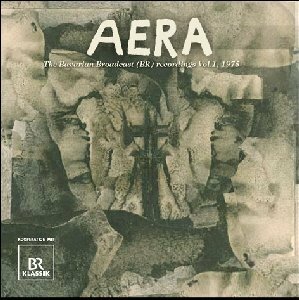 On January 9,1975 Aera with the line-up (same as on "Humanum Est") Muck Groh, guitar, Klaus Kreuzeder, sax and flute, Dieter Bauer, bass and drummer Wolfgang Teske, performed in an extraordinary setting-St. George´s Church in Freising, district of Munich. The idea of the concert was to open the church for contemporary music and to give the musicians the chance to interpret the Roman Catholic liturgy, the "Holy Mass", with their music. Aera went a long with the five components of the holy mass and played two titles of their up coming album "Humanum Est" and another three titles that were not included on any album. The titles presented during the second part of the concert were earlier versions of titles that were later released on the album "Hand und Fuss". Aera played more than 75 minutes. All titles were digitally remastered from original master tape. Booklets contains story and a review of the concert and rare photos. Highly recommended!